The Field Application Resource Monitor uses advanced weather forecasting to advise farmers on when to apply fertilizers and pesticides so that they aren’t washed away by rain. (CFAES)COLUMBUS, Ohio — A new app from The Ohio State University will help farmers save both money and the environment. The Field Application Resource Monitor uses advanced weather forecasting to advise farmers on when to apply fertilizers and pesticides so that they aren’t washed away by rain. According to Aaron Wilson, climate specialist for Ohio State’s College of Food, Agricultural, and Environmental Sciences and project manager of FARM, it is much more than just a fancy weather app. “The app allows you to specify the location of your field in high resolution,” said Wilson. This means that the app can actually give specific forecasts for an area as small as 1.5 miles wide — allowing for incredibly accurate and detailed forecasts. “It then provides guidance on the best time to apply fertilizers and manures based on the precipitation forecast” Wilson continued. In the event that a forecast is wrong, historical forecasts may provide documentation that farmers were operating under proper procedures and working in accordance with forecasts that were accurate at the time. For example, the Western Lake Erie Basin Partnership sets laws that prohibit farmers from applying fertilizers or pesticides if the forecast calls for over a 50 percent chance of rain. 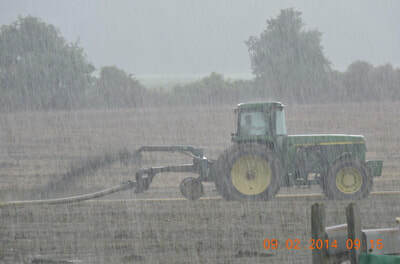 If the forecast calls for a 20 percent chance of rain and a farmer decides to apply fertilizer only for the rain to fall, the farmer can cite the app conditions for the day. FARM users can also set up accounts and receive detailed emails notifying them of real-time precipitation alerts and forecasts. As the app expands, Wilson anticipates adding phone alerts that will further streamline the process of keeping farmers in the know. 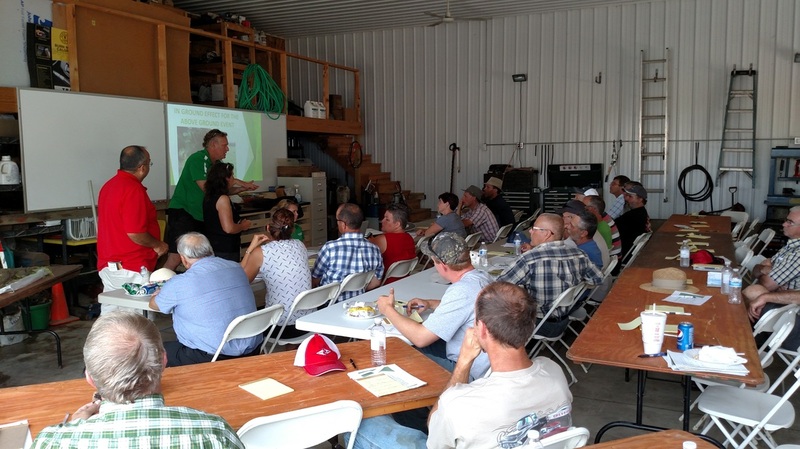 “This equips farmers with the tools to help them make decisions,” Wilson said. The app can be viewed on most computers and mobile devices. “It’s very accessible. It’s very easy for anyone to use, and it’s very intuitive,” said Hawkins. The app provides both economic and environmental advantages. 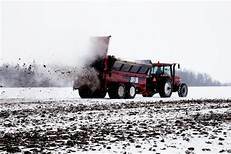 When warned about precipitation that exceeds good management practices, farmers can avoid using fertilizer and pesticides that are doomed to wash away, saving both time and money. Washed-away fertilizer also makes it difficult for farmers to anticipate how much more fertilizer needs to be added. “If the fertilizer is washed away, that is one input they have lost,” Hawkins said. 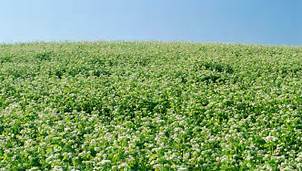 If farmers don’t know how much fertilizer and pesticide is actually acting upon their crops, then it’s difficult to predict growth. The app offers a significant environmental benefit as well by helping prevent fertilizers and pesticides from washing into Ohio waterways. It’s no secret that farmers and the environment have a mutual codependence on each other. 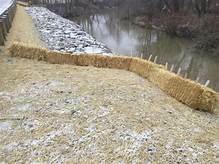 FARM gives farmers a distinct opportunity to look after the environment in a way that also saves them time and money. For more information about FARM, visit farm.bpcrc.osu.edu. 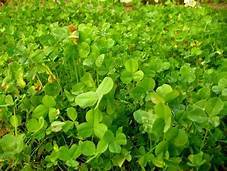 A cover crop is a crop planted primarily to manage soil erosion, soil fertility, soil quality, water, weeds, pests, diseases, biodiversity and wildlife in an agroecosystem (Lu et al. 2000), an ecological system managed and largely shaped by humans across a range of intensities to produce food, feed, or fiber. A true no-till system avoids disturbing the soil with tools like chisel plows, field cultivators, disks, and plows. 3. 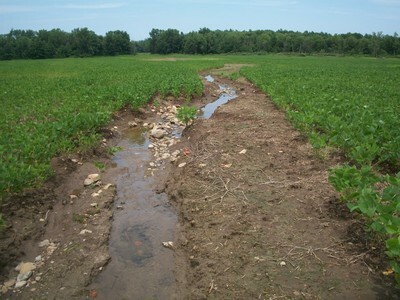 Repair farm field eroded into the creeks in GLSM watershed. No-Till Farming is on the Rise in the U.S.
"No-till farming" sounds pretty dull at first. 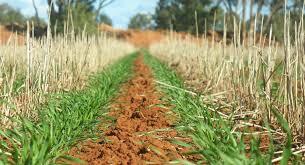 The term basically describes ways to grow crops each year without disturbing the soil through tillage or plowing. But it's an important idea. Plowing and tillage are major sources of soil erosion around the world — they were key factors behind the Dust Bowl in the 1930s. What's more, churning up all that soil can release a significant amount of carbon dioxide into the atmosphere, helping to warm the planet. So, since the 1980s, more and more American farmers (and policymakers) have started taking no-till farming seriously. Why did no-till farming spread? This 2008 report (pdf) in Scientific American tells the broader back story. 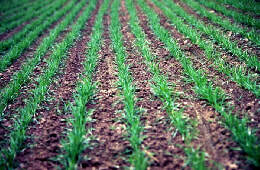 For most of human history, farmers plowed their soil to plant crops. The advent of tractors in the 20th century made it even easier to churn up fields. 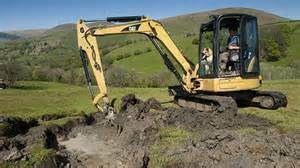 But as soil erosion became a massive environmental problem around the globe, that slowly changed. 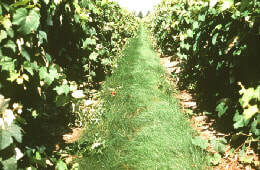 The advent of new herbicides such as atrazine and paraquat in the 1940s and 1950s allowed farmers to kill weeds without plowing up more soil. And the invention of specialized seeding equipment in the 1960s allowed farmers to plant while barely disturbing the soil. Various federal government subsidies for soil conservation also gave farmers incentives to switch practices — particularly after the 1985 farm bill. So did higher oil prices. The pros and cons of no-till: As the technique became more widely used, U.S. farmers found that they could conserve water, reduce erosion and use less fossil fuel and labor to grow crops. 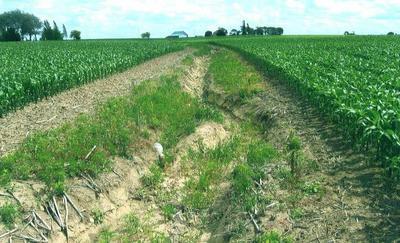 Cropland erosion in the United States dropped nearly 40 percent between 1982 and 1997. But the practice can have downsides too: For one, it often leads to heavier use of chemical herbicides to kill weeds, which makes many farmers and consumers uneasy. (It's worth noting, however, that heavy herbicide use may not be inevitable; here's a look at ongoing research on how to reduce it through the use of cover crops and other techniques). 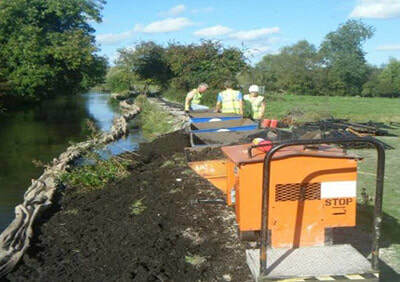 The specialized equipment can also cost more upfront, even if it eventually saves time and fuel. In addition, the transition in farming methods can often be difficult. 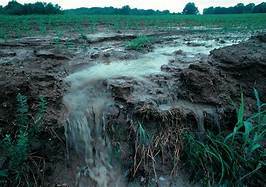 And there are still some clear advantages to conventional tilling, which can, for instance, allow farmers to start planting earlier in the year after heavy rains, since plowing helps dry out the soil sooner. 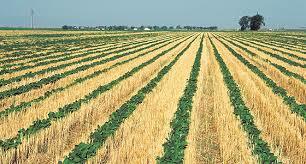 Will no-till farming keep spreading? 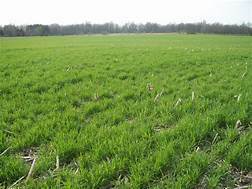 Based on survey data, the Department of Agriculture expects no-till operations to keep spreading in the United States in the years ahead, "albeit at a much reduced pace among corn producers." But what about the rest of the world? That's a trickier question. In 2004, farmers were practicing no-till operations on less than 7 percent of cropland worldwide — and most of that was in the United States, Brazil, Australia, Canada and Argentina. The practice has barely caught on in Europe, Africa or Asia. China has only recently begun taking an interest in the concept (see chart). A recent report (pdf) from the U.N. Environment Program (UNEP) argued that, historically, governments have had to step in to encourage the practice to get it to spread — either by offering research and training or providing financial support to help ease the transition. Australia, for instance, has offered tax credits to farmers to pay for the climate-change benefits from no-till farming. If that trend caught on, it could have a few big climate benefits. It would lock more carbon in the soil and curtail fossil-fuel use in farm operations. The UNEP estimates that no-tillage operations in the United States have helped avoid 241 million metric tons of carbon-dioxide since the 1970s. That's equivalent to the annual emissions of about 50 million cars. What's more, the practice could help farmers deal with drought, which may become more prevalent in parts of the world if the planet keeps heating up. 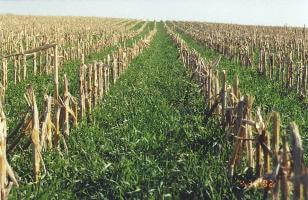 The Rasawehr Farm practices no-till farming with cover crops. Jeff Rasawehr has found the profitability of his farm increase with this new practice of farming. He has not purchased commercial fertilizer in seven years and his crops have been better and cheaper to grow. Rasawehr also sells grass-fed beef. Support the Rasawehr Farm and their contribution to healthier environment! At a recent GOGLSM meeting John Bihn and his son described their newly patented grain crushing machine. They brought samples of grains crushed by their machine and provided samples of bread made from their crushed grains. The bread was delicious and left people asking where they could buy the bread. Crushed grains are healthier because it retains more of the grains' nutrients.